If you are reading this article, chances are, you have a dead car battery. Even worse, you may be stranded in the middle of nowhere with a dead car. Thankfully, we can help. 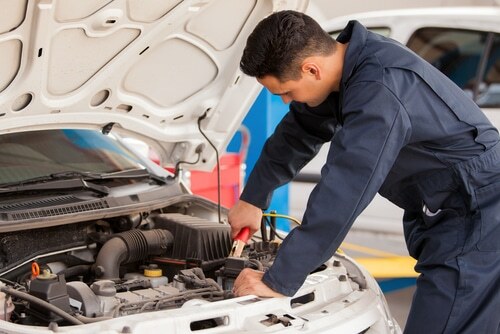 In this post, we will teach exactly how to change a car battery all by yourself. And trust us, it’s a lot easier than you think. No matter how good your car is, if the battery is dead, it’s not of much use. The battery is what helps the engine crank up to life. How to know if your battery needs a replacement? Before you go out and get a new battery for your car, make sure that the battery indeed needs a replacement. Often, we find that our readers go out and buy a new battery and later find out it is some other part of the car that needs a replacement. Look for the following symptoms before getting a new battery for the car. Slow engine crank – When you try to start the engine and if it takes longer than usual for it to start, it can be a good indicator that your battery needs replacement. Also, during cold startups, the engine may refuse to start at all. Check battery indicator – Most modern cars have a battery indicator on the dashboard that lights up if there’s anything wrong in the battery. If it is solid red, you need to have your battery checked up. Swelling of battery – Upon physical inspection, if you find that the battery has swelled up or taken an unusual shape, it’s time to change the battery. Battery leaking – If the battery is leaking fluids or if the terminals are corroded, there are chances that the battery needs a replacement. Age of the battery – One easy way to tell if your battery needs a replacement is to check the date of manufacturing of the battery. Generally, a battery lasts for 5 years or so. If your battery is old, it definitely has reached its end of life and is awaiting replacement. Note: When you go out to buy a new battery, make sure it matches the specification of your old battery. You can either look up the battery details on the old battery or in the user manual. After you have prepared everything, you are finally ready to change your car battery. Switch off the ignition- The first thing you will want to do is make sure that your car is off and has its parking brake on. Also, make sure you are doing it in a place where is little to no obstruction or disturbance from other people. Pop up the hood- Open the hood and place a cloth on the fender so that corrosive battery acid doesn’t damage the car paint. Locate the battery and remove the cables from the battery terminals- Locating the battery should be an easy affair. However, some cars have it hidden away and is covered by a battery cover cloth. Identify it and remove the battery cover cloth.Then, remove the clamp nut as well as the cable from the negative terminal. After that, you can go ahead and remove the clamp nut and the cable from the positive terminal. Make sure you are wearing the aforementioned rubber glove while performing this step. Remove the battery from the bracket-Remove any screw or hold down clamp that is locking the battery in place. After that, you can lift the battery out from the bracket. Here, you need to be extra careful as the battery can be heavier than you think. Also, take the photo of the battery in place so that you know exactly how the new battery is to be placed. Clean the battery compartment-Once the battery is out, we recommend you to clean the battery compartment. Here, you can use a small quantity of baking soda, water, and a clean brush to remove the corrosive deposits and rusts left by the old battery. And while you are at it, make sure to clean the battery terminals too. Install the new battery- Now, you can go ahead and place the new battery in the battery bracket. Use the photo earlier taken so that it sits in the right direction. You will want to make sure that the new battery is seated firmly.Then, fasten all the nuts and bolts used to hold the battery in place. There should be no play of the battery in the battery compartment. 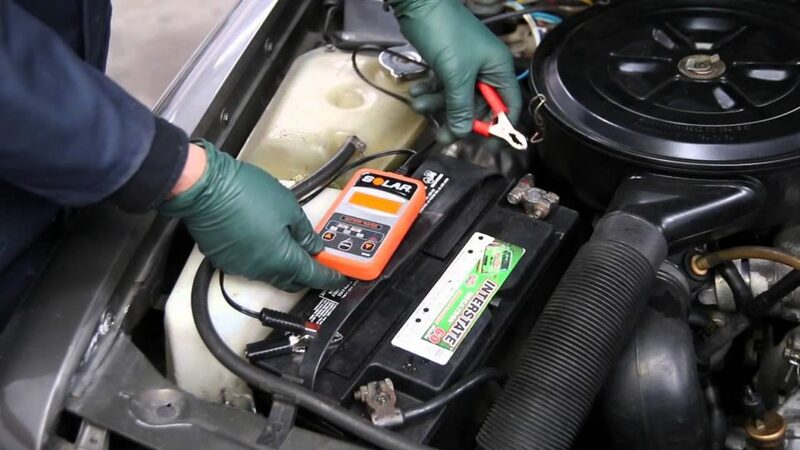 Reconnect the battery cables– You will want to reconnect the battery cables in the reverse order you took them off. Double check to see if any of the cables aren’t secured properly. Dispose of your old battery – Lastly, get rid of your old battery- the right way. The best thing you can do is give the old battery to the seller who sold you the new battery. Chances are, you can get a good discount on your new battery if you are willing to give your old battery to the seller. Remember, you just can’t dispose of batteries in a recycling bin. When you give out the old battery to the seller, you are not only saving yourself some bucks but also saving the environment. There you go. This is how you replace your car battery. Hope this post was helpful. If you have any queries, do leave them in the comments section down below. We will be glad to help.